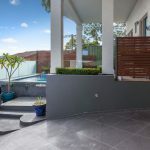 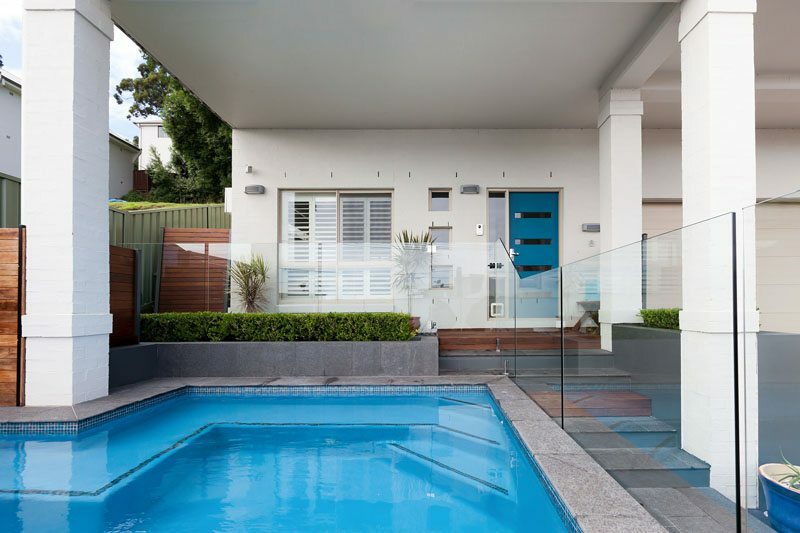 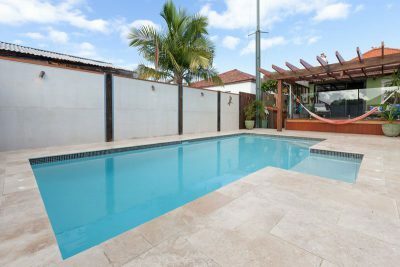 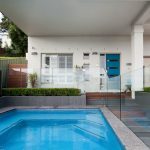 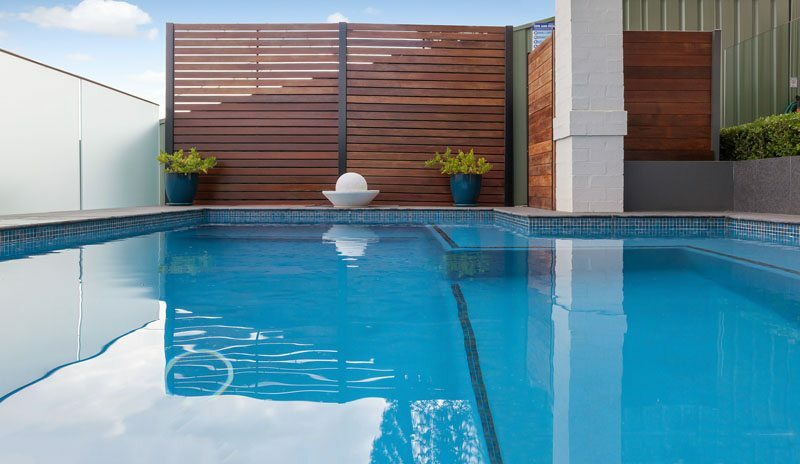 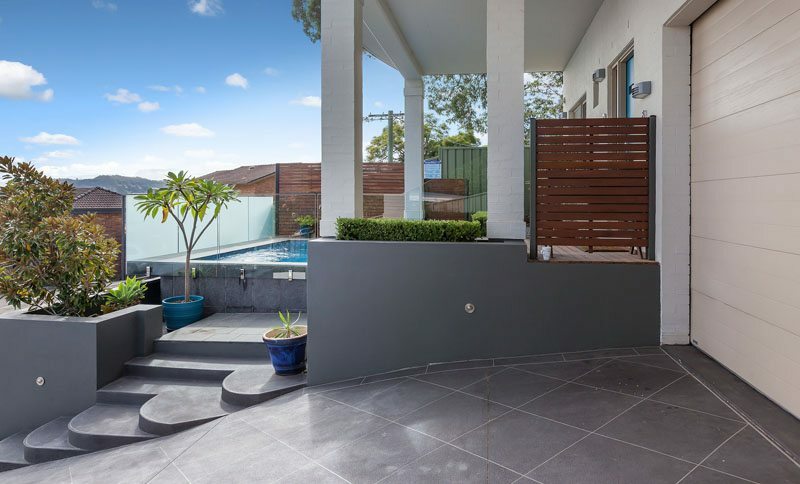 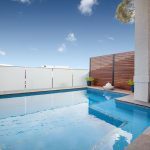 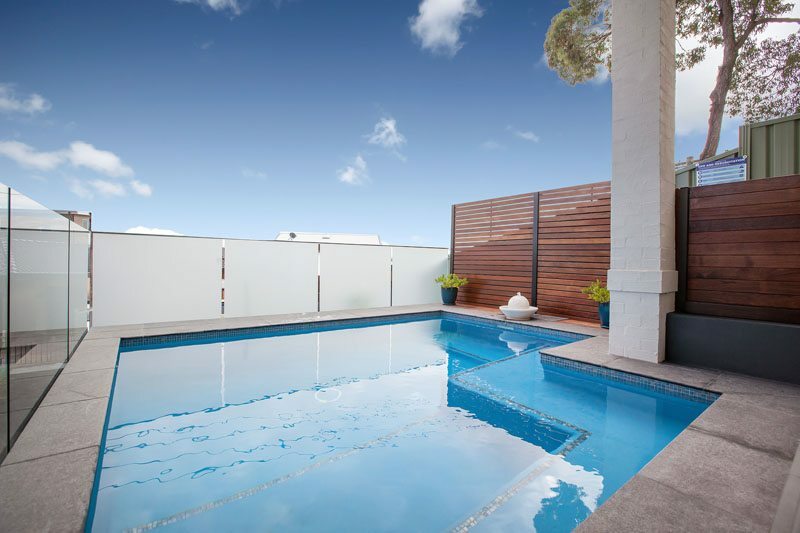 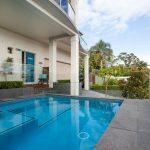 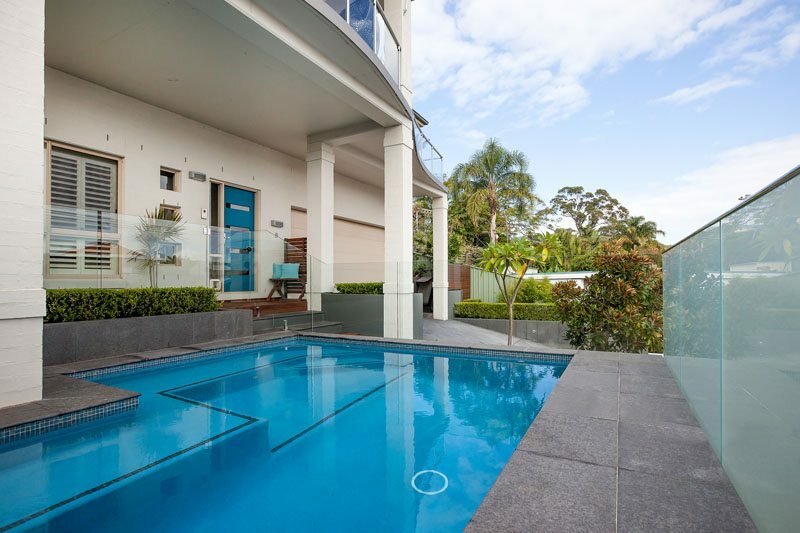 A Pacific star quartzon interior gives this Gosford pool its vivid blue colour, while a band of variegated glass mosaic tiles around the waterline frame the design and add to the shimmering effect. 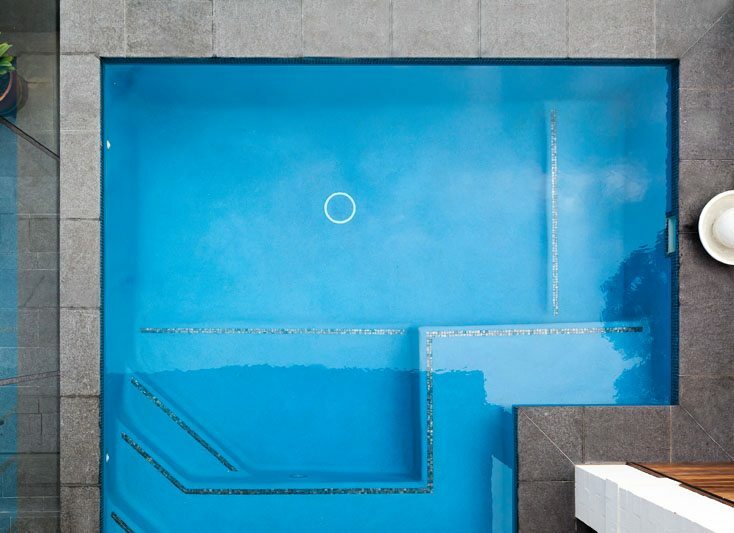 Designer Phil Anastas also framed the entry steps and a swim out ledge in strips of glass mosaic tiles, adding another layer of detail to this design. 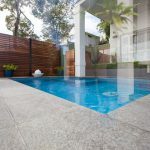 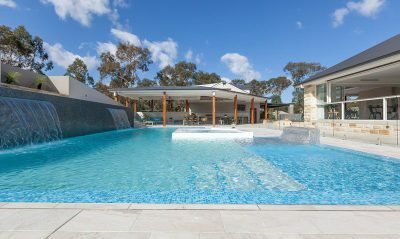 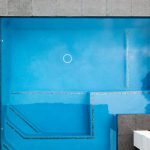 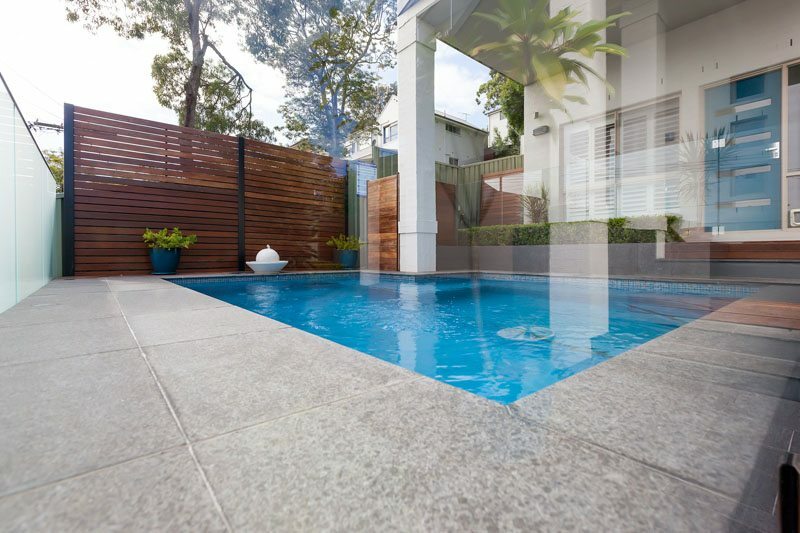 The pool coping width is 400mm in a grey travertine to highlight the intense blue of the interior. 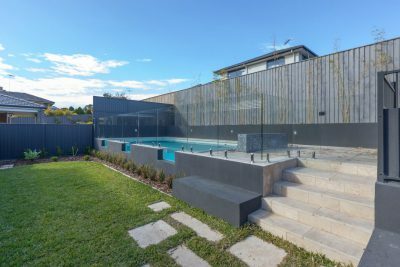 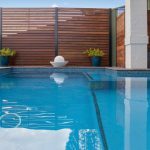 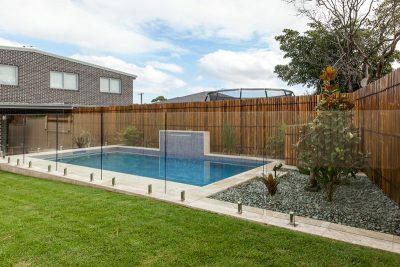 The pool surrounds include a retaining wall and potted shrubs along the pool border to add a natural element to the overall design. 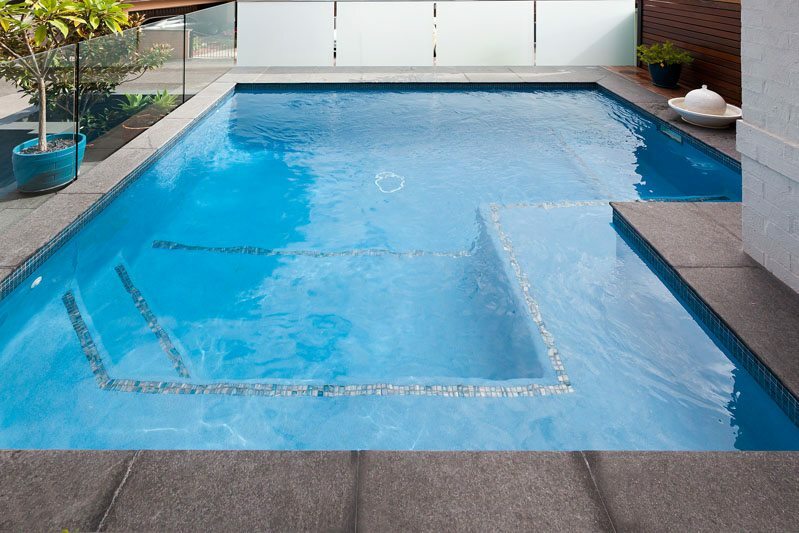 For this setup, we opted for an Enviro smart mineral system to keep bacteria in check while reducing chlorine levels.